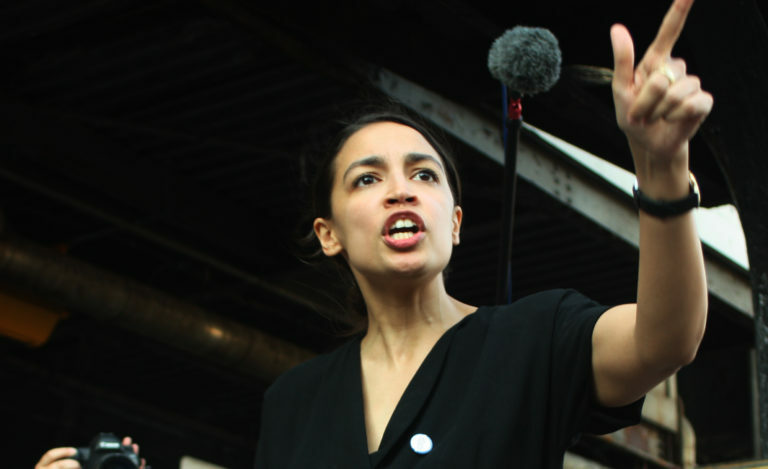 In an underdog victory few expected, Alexandria Ocasio-Cortez defeated incumbent Joe Crowley in the Democratic primary for New York’s 14th Congressional District on Tuesday. Widely regarded as a contender for Nancy Pelosi’s position as House Speaker, Crowley pulled political strings from his native Queens all the way to Washington, D.C. — having his say in everything from the selection of county judgeships to federal legislation. Yet the 20-year House veteran’s insider status was not enough to impede the momentum of a 28-year-old democratic socialist born and raised in his district — a wake up call to a Democratic Party establishment that has persistently moved to the center while its base increasingly leans to the left. Crowley outraised Ocasio-Cortez, whose campaign relied on small donations, 10-1. Yet despite Crowley’s money, power and influence, the results weren’t even close. Ocasio-Cortez defeated her opponent by a 15 point margin. As recently as May, Ocasio-Cortez was pressuring Crowley just to acknowledge her candidacy, ultimately showing up at his campaign office and demanding an opportunity to publicly spar. Crowley relented as Ocasio-Cortez’s campaign gained momentum but, in a testament to her perceived odds, moderators at subsequent debates broadcast on local NY1 television and on the Brian Lehrer radio program pressed whether she would endorse her opponent in the general election. (The district is over 80 percent Democrat.) The upstart consistently replied that it was up to the coalition supporting her to determine who received its support. That alliance, comprised of Black Lives Matter, immigrant rights and progressive Democrat activists knocked on thousands of doors in the Queens-Bronx district and made many more phone calls on her behalf, paving a path to primary victory. 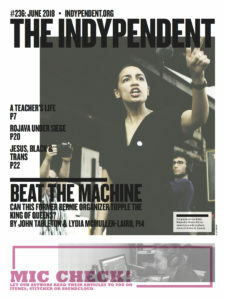 The success of the Ocasio-Cortez campaign is, in particular, a vindication to the Democratic Socialists of America (DSA), which, after backing Sanders’ presidential bid has sought to transfer the Vermont senator’s popularity into local political races, including an unsuccessful attempt last year by Khader El-Yateem to be the first Arab-American New York City Council member. 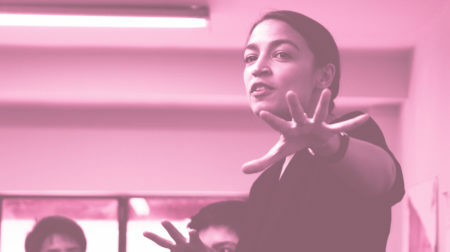 Though they have had some wins in local contests elsewhere in the country, DSA has accomplished little electorally in New York until now — a huge breakthrough by Ocasio-Cortez, a former Sanders’ staffer, for proponents of a more transparent, progressive and bottom-up Democratic Party. 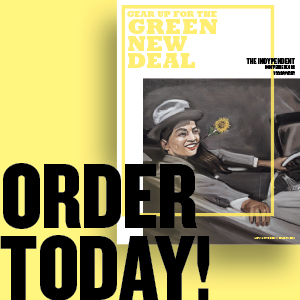 Before the talking heads on CNN were chatting about her, before Newsweek asked, “Who is Alexandria Ocasio-Cortez?” she was on the cover of The Indypendent. 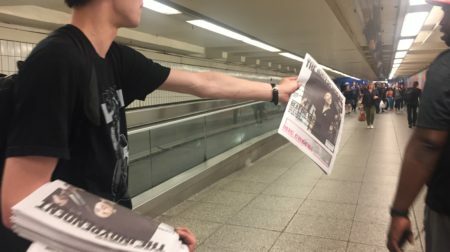 Support independent journalism with its ear to the ground! The upset was already sending ripples through Washington on Tuesday evening. Ocasio-Cortez will now go on to face Republican Anthony Pappas in November’s general election though she has all but secured her seat, given that the district is heavily Democratic. “This is the start of a movement,” she wrote on Twitter Tuesday evening, listing other progressive candidates around the country supporters energized by her win should get behind. Photo: Alexandria Ocasio-Cortez. Credit: Elia Gran. She’s surpassed expectations, but can this democratic socialist defeat Boss Joe Crowley in their June 26 congressional primary?